What differentiates you from your competitors? What button are you pushing that gets someone to actually open their wallet and pay for your products or services? I read two articles this morning that discuss not how Apple is changing brands, but what they are exposing about how people already associate with brands. This is something that Simon Sinek discusses in his book Start With Why – that we associate with “why” a brand exists – what they represent – before we judge the “what” or “how” of their offering. And yes, it is a more elegant – more human – view of business. That we are individuals constantly looking for self-definition, for identification, for purpose. That in a world of consumerism, we do these things through products, as much as by vocation, personal behavior or hobbies. Clearly, not everyone does this, and for those that do, it is not all in the same way. But for many businesses, it would be an interesting exercise to consider how your products & services shape the identity of your customers. This goes beyond premium products. Why do people by a Honda Civic instead of a Toyota Corolla or whatever Ford offers at that price range? There is a certain point at which you are splitting hairs – where all of these cars have the same features, price and safety rating. Why are some families Toyota families, and others Honda families? Why do others pay a premium for Volkswagen even though a base model Honda Civic would be effective, inexpensive and long-lasting transportation for years to come? Social media has been helping to expose these answers – how our preferences, how our sense of self, is shaped and expressed via the brands we buy. In your market, in your niche, in your company, in your role – how do you shape the identity of the people you serve? 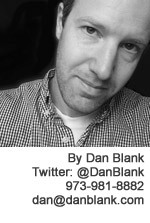 Let me know if I can help you in serving your market: @DanBlank, 973-981-8882 or dan@danblank.com.